Rockstar Games Social Club members have the chance to win a Max Payne customised, third generation (that's right - the new iPad with the retina display and 5 megapixel camera), 16 gigabyte iPad, in celebration of the release of the mobile version of Max Payne 3, which is currently available on iOS devices and is coming this Thursday to Andriod as well. To enter, all you need to do is head over to the Rockstar Games Social Club and fill out the form for your chance to win. 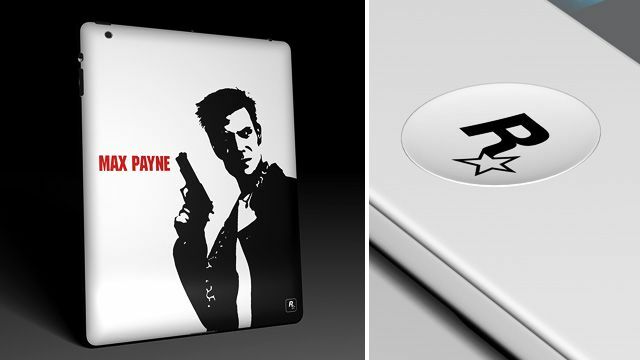 As seen above, the winner (who will be selected at random) will win this very limited edition iPad which has been styled with an original Max Payne image as a cover, scratch-free finish and the home button has been styled with the Rockstar Games logo. Five randomly selected runners up will win Max Payne 3 prize packs which contain official t-shirts, posters and more. Entry closes Monday April 30th - so head on over to the Social Club for your chance to win!